Fire in the night signals the return of Agamemnon from 10 long years of war in Troy. Triumphant and with a captive slave, the prophetess Cassandra, in tow, the warrior king arrives home and is welcomed by Clytemnestra, wife and mother, who seethes with a vengeance born of the slaughter of their daughter Iphigenia. Revenge begets revenge; fate will be fulfilled. The first great play of Aeschylus’ Oresteia trilogy, “Agamemnon” delivers a visceral and haunting theatrical experience. Staged by the Department of Drama in the College of Visual and Performing Arts, “Agamemnon” performs Nov. 6-15 in the Storch Theater at the Syracuse Stage/Drama Complex, 820 E. Genesee St. Tickets range $17-$19 and can be purchased at http://vpa.syr.edu/drama, by phone at 315-443-3275 and in person at the box office, Monday through Friday, 10 a.m.-6 p.m.
Aeschylus was the first Greek dramatist to introduce the use of more than one actor in a play, as Greek plays originally consisted of a single actor to portray all of the characters. With more than one actor, Aeschylus was able to cut down lengthy choral parts emphasized in earlier works, and include more dialogue. He would also use masks, headdresses, high boots and vibrantly tailored garments for the actors. Hudson will present “Agamemnon” by telling events in a series of scenic pictures, bringing in a multitude of cultural references to underscore the universality of Aeschylus’ play. As a professional actor for over 35 years, Hudson has performed across the country in major regional theaters, and he was a company member with the famed American Repertory Theater in Cambridge, Mass. As a soloist, he has performed selections from Broadway with major orchestras, including the Minnesota Orchestra, St. Louis Symphony Orchestra and the Houston Symphony. Hudson is a member of Actors’ Equity Association. 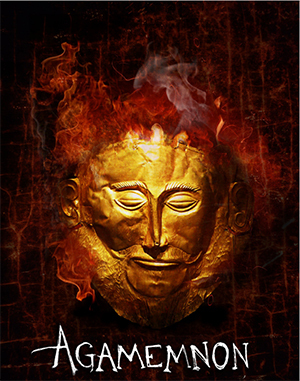 For more information about “Agamemnon” and SU Drama’s 2015/16 Season, visit http://vpa.syr.edu/drama.